Passed peacefully away on September 10th, 2016, at the Leonard A. Miller Center, Rev. Canon Edgar Bertram Cheeseman, age 89, in the presence of his loving family, after a long and healthy life. Predeceased by his parents Alma and Jacob Cheeseman, and brother in law Graham Bursey. Leaving to mourn his wife Elizabeth Dawn, daughter Michele (husband Greg Moss), grandchildren Jenna and Jordan, sister Alice Bursey, and sister-in-law Helen Purcell. Special thanks to the staff of 4 South A at the Health Sciences Centre, and to Dr. Betty Mate and all the staff of 2 N at the Leonard A. Miller Center for their compassionate care. Resting at Carnell’s Funeral Home, 329 Freshwater Road. The family will accept visitors on Monday, September 12th, 2016 from 2 p.m – 9 p.m, and Tuesday, September 13th, 2016 from 10 a.m – 9 p.m. A funeral service will be held at St. Philip’s Anglican Church, in Portugal Cove – St. Philip’s on Wednesday, September 14th, 2016 at 2 p.m, with cremation to follow. No flowers by the request of the family. Donations may be made to St. Philip’s Anglican Church. Canon Cheeseman is the first priest I can remember, and was part of my earliest memories of church. It feels as though he has been part of the fabric of St. Philip’s Church and community forever. He was always great for a laugh, sincere in his counsels, and sound in his faith. I am happy and grateful to have known him. May he rest in peace and rise in glory. Love and prayers to Dawn and all the family, from “Justin”, Stephanie and our family. It is with deep sadness we heard of Bert’s passing. I (Bill) saw him last at one of our regular Retired Clergy meetings, at which time we chatted for a while. We can certainly give God thanks for his long and faithful ministry as a priest and a servant of his Lord whom he served so well. ; ..and, .Dawn, for your part in that ‘ministry’ which we are sure you shared with him. Please accept our condolence. Our thoughts and prayers are with you. God Bless. Our Deepest Sympathy to all of Canon Cheeseman’s family. May He Rest In Peace!! I am very sorry to hear of the passing of Rev. Cheeseman. My thoughts and prayers go to his wife, children, grandchildren and family. So sorry to hear of Cheeseman’s passing. Our thoughts are with you as you start the journey without him. So many memories. Hope you are all doing o.k. Mrs. Cheeseman, Michelle and family. Our thoughts and prayers are with you all at this difficult time. Mrs. Cheeseman, Michelle and Family, Please accept the sincere sympathies of the NL School Boards Association. 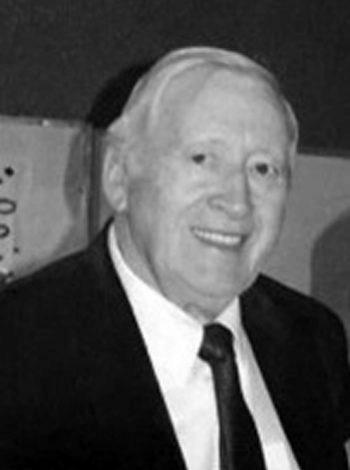 Bert was a stalwart supporter of school boards in the governance of education over many years. His insights and advice were always regarded carefully and much appreciated. The Association was honored to list him as an Honorary Member. May you have God’s Blessings at this time and may Bert Rest in Peace. Brian Shortall, Executive Director. Mrs. Cheeseman, Michelle and family. So sad to hear of your loss! thoughts and prayers are with you. Deepest condolences from the Kelligrew family. Dawn and family. Our thoughts and prayers are with you at this sad time. Michele – So sorry to hear of your loss! I remember your father so well from our Eastport days and I know how close you were. My deepest condolences to you, your Mom and your family! Please accept our deepest sympathy on Rev Bert’s passing. He was always a good friend and steward of St. Philips parish. We will keep you in our thoughts and prayers. Sorry to hear about Uncle Bert’s passing. Sorry to hear about your loss. I was very glad to be able to see him one last time at Fathers’ funeral. It seems like only yesterday we were on camping trips around the province, will always remember those fun times when we were a lot younger. A good friend of Father, a great man and he will surely be missed. My Deepest sympathies to you and your family. Thanks for the memories. Michelle, my dear friend, your Mom and the entire family- so sad about your Dad’s passing. I know how close you were! Your Dad was such a sweet Gentleman and your love and pride for him was evident every time you spoke his name. He was a lucky man to have two of the best Nurses always at his side! Sending you much love! Sincere sympathy . You are in our thoughts and prayers at this sad time. Our deepest sympathies to you and your family at this sad time. Sincere Sympathy at this very sad time, you are in my thoughts and prayers. God Bless. We were so sorry to learn of the passing of your husband, father and grandfather. We have many fond memories of our years in St. Philips, and want to extend our condolences to you and your family at this difficult time. Our thoughts are with you all. Take care. God Bless. We will always remember his kindness & his caring ways. He will be missed. We was so sorry to hear of the passing of Rev. Cheeseman. Please know that our thoughts and prayers are with you at this most difficult time. Mrs. Cheeseman, Michele, and family, we are so saddened to hear of Canon Bert’s passing. He was such a fine man. He will be deeply missed. Please accept our heartfelt condolences.